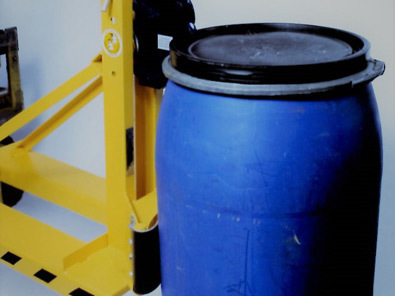 At Liftomatic Material Handling, Inc., our drum handling technology promotes productivity, safety, and efficiency in the food and beverage industry. 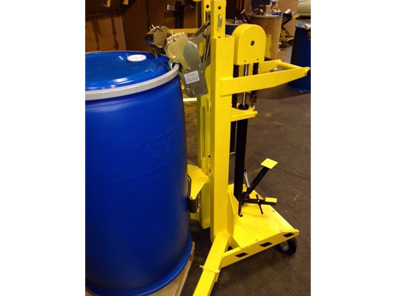 We offer both standard designs and custom equipment for handling steel, plastic, and fiber drums in all areas throughout your facility. The right combination of our forklift mounted drum handlers, portable units, and drum dumping equipment will expedite the movement of drums from the laboratory to production, blending, packaging, warehousing, and shipping. Our ergonomic, time-tested designs feature patented devices that lift, palletize, transport, dump, and maneuver drums in any manner that your operations require. We furnish specialty products for the food and beverage industry that feature stainless steel construction. Stainless steel is corrosion resistant, easy to clean and disinfect, and extremely durable. 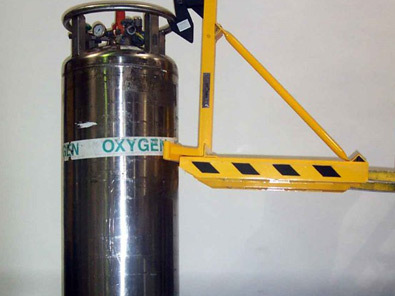 Our product line includes customized equipment that transports, lifts, and weighs drums and moves them into processing and production areas in one smooth motion. We offer high-volume equipment that handles multiple drums at the same time as well as mechanical or automatic dumping equipment that enables controlled pouring, measuring, and dispensing of drum contents. Our stainless steel drum handling equipment can be washed down and sanitized to ensure surfaces are free of contamination. If you are interested seeing how our material handling equipment can streamline the movement of drums throughout your facility, contact us to arrange an in-plant demonstration. By observing our performance-oriented forklift mounted drum handlers, hoist/crane attachments, and drum dumpers at work in your facility, you can confirm they are the safest and most economical solution for your drum handling operations. We look forward to hearing from you soon. Production equipment for handling all steel, plastic and fiber drums. Custom Manufacturing by Quote for specialized applications. Laboratories, in-plant, testing facilities, production, blending, packaging, warehousing and shipping departments. Stainless Steel products, food-grade capable, weighing and mixing of drum contents.